Seniors from the United States Military Academy at West Point view bullets collected by Father Desbois on display in the Some Were Neighbors exhibition at the United States Holocaust Memorial Museum. Washington, DC, February 2014. US Holocaust Memorial Museum. Father Patrick Desbois in the Some Were Neighbors exhibition at the United States Holocaust Memorial Museum. The exhibition features items he has found at killing sites. Washington, DC, April 2014. US Holocaust Memorial Museum. 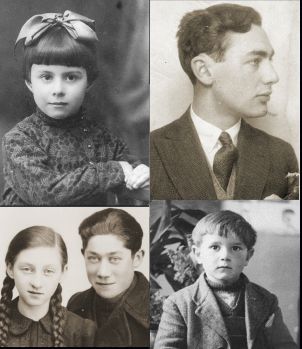 Yahad – In Unum (external link) is a Christian organization commited to uncovering the truth behind the murder of Jews in eastern Europe during the Holocaust by bullets. Father Desbois, president and founder of Yahad – In Unum, has devoted his life to confronting antisemitism and furthering Catholic-Jewish understanding. Since 2001, he has led a truly historic undertaking. Working closely with Museum staff and using the Museum’s archives to aid the search, the researchers of Yahad – In Unum have crisscrossed the countryside in Ukraine, Russia, Belarus, Poland, Republic of Macedonia and Moldova, Lithuania, and Romania in an effort to locate every mass grave and site at which Jews, Roma, and other victims were killed during the Holocaust. To date, they have identified 1,744 of an estimated 2,500 such locations. They are also collecting artifacts and, most significantly, recording video testimonies from eyewitnesses—many of whom are speaking publicly for the first time. To date, Yahad teams have interviewed 4,485 eyewitnesses. These invaluable testimonies will become part of the Yahad – In Unum Collection at the Museum. 1,393 of these testimonies are already available in the Museum’s library. Father Desbois’ extraordinary work to preserve the memory of Jewish communities murdered during the Holocaust by bullets and to advance understanding of the crimes committed there during the Holocaust has received international media attention, including coverage in Le Monde, The New York Times (external link), TIME Magazine (external link), and NBC Nightly News (external link). His book, The Holocaust by Bullets: A Priest’s Journey to Uncover the Truth behind the Murder of 1.5 Million Jews, was published with the Museum’s support. Yahad – In Unum is using this unique methodology of investigation to reveal the history of the civil victims of violence in Guatemala during the years of the military dictatorships and of the mass murder of the Yazidis in Iraq. Between 1941 and 1944, Nazi SS and German police forces, German military units, and locally recruited collaborators killed more than 2 million Jews residing in the Soviet Union (borders of 1941) in mass shooting operations. The Germans deployed four Einsatzgruppen (battalion-sized mobile units of the Reich Security Main Office), dozens of police battalions, and units of the Military SS (Waffen SS) in the occupied Soviet Union. They conducted so-called pacification actions with a priority placed on annihilating Soviet Jews in shooting operations. 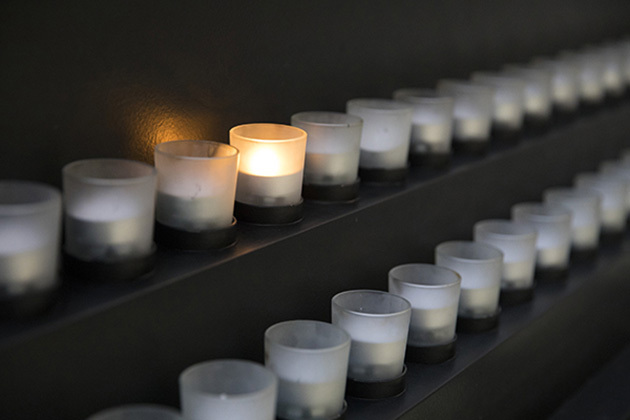 Of Jewish victims of the Holocaust, about 40 percent was killed in mass shootings. Confiscation of property and looting were integral aspects of the mass shooting process. Following massacres, Jewish property not directly seized by the Germans was typically auctioned or distributed to their neighbors, or looted by their neighbors. Shootings were local, public, and witnessed by neighbors. The Germans pressed many of these neighbors into service as clerks, grave diggers, wagon drivers, and cooks to provide support for the mass killing actions. Today, remains of Nazi Germany’s victims lie in hundreds of mass graves particularly throughout Latvia, Lithuania, Poland, Belarus, Russia, Ukraine, Moldova, and Romania. The Museum serves as a repository for materials collected by Yahad – In Unum. To date, they include oral history interviews conducted with eyewitnesses and participants in mass shootings, as well as objects recovered by the Yahad – In Unum team from former killing sites and from interviewees.